Here is a list of all the postings Steve Houghton 1 has made in our forums. Click on a thread name to jump to the thread. 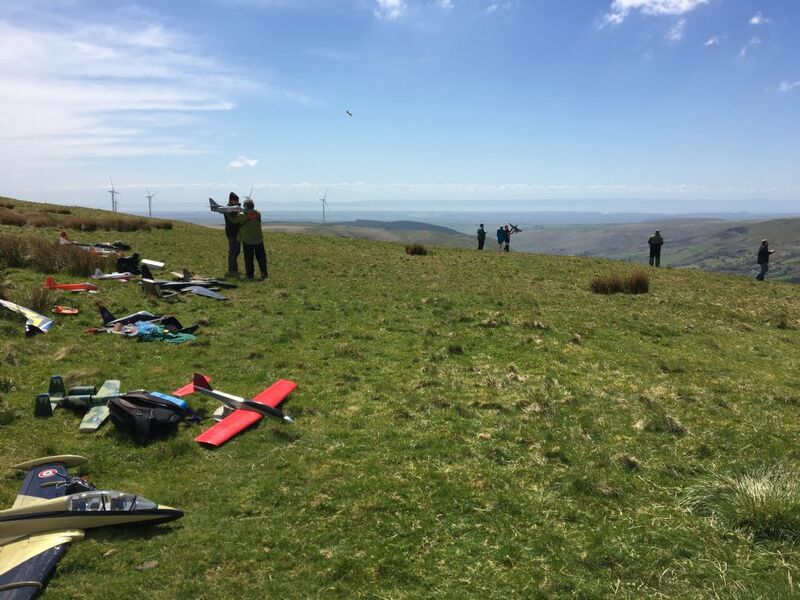 Ron Broughton builds some superb EPP60 racing gliders, designed for man on man slope racing out of EPP foam. 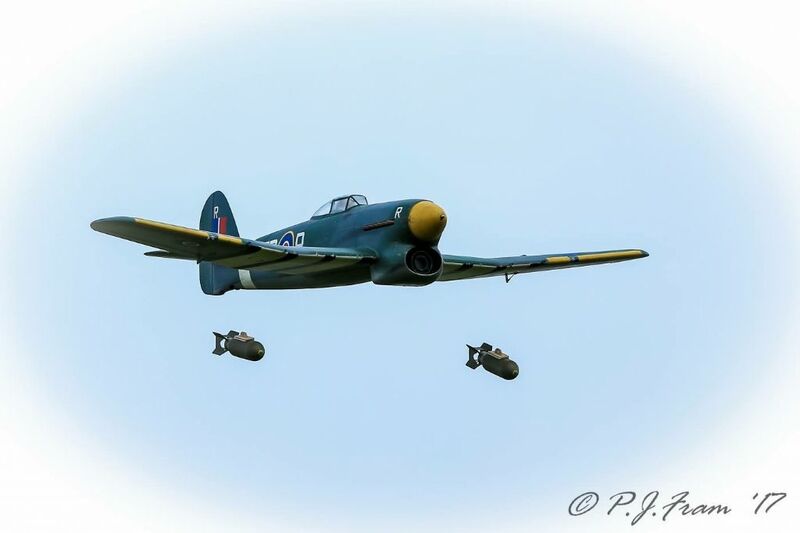 His Pole Cat is a M60 copy which I have and I have flown this at Rhossilli in a 40 - 50mph wind, unballasted and it was a match for the fully ballasted M60 I was flying with. Ron's Ballistik chevron wing, well, it's just that, ballistic, probably the fastest chevron I've ever seen, and again I have flown this up against a fully ballasted M60 and is as fast, if not faster. I have no idea about the JR set up as I fly with Hitec. I have a Multiplex Heron, with all the bells and whistles, but I set up motor & flaps on flight conditions with both operating on the throttle stick but switch operated. So I flick the switch one way and the stick operates the motor. When I want to land I flick the other way and the flaps work but not the motor. This does mean my flaps stick does work in the opposite direction but I can live with that. Thread: Anyone bought an Acrowot Foam-e Recently? I bought one recently and TBH I haven't paid so much attention to the stickers to notice if they are wrong or not, and personally I wouldn't really care as it's a foam sport model and not a scalie, and I wouldn't notice the difference in the air anyway as it's flying past inverted or on knife edge. But I had no issues with my model, it appeared to be perfect straight out of the box, so I think you may have just been unlucky, or was I lucky? The detail is amazing Phil! Gary - War birds are known for needing extra weight up front, and PSS models even more so, no matter how much weight you try to cut off the tail end, or how far forward you mount the RC gear. The PSS guys are currently in the process of a mass build Hawker Hurricane and all of these very experienced builders are having to add extra weight in the nose. Remember, no motor in these babies, just purely wind power. Hey Bob, as you are building a Mk1 you may be interested in the Mk1 that was discovered in India and shipped to the UK by Peter Vacher. I watched the video on Amazon Prime at the weekend. What was particularly interesting was the black & white underside paint scheme, which I didn't know about. The Amazon program is a series of rebuilds starting with a P51 Mustang then moving on to the Hurricane. Peter wanted to keep the build as authentic as possible and I found it truly amazing to watch. The guns are now attached with magnets, but I fear the rubber is too thin. 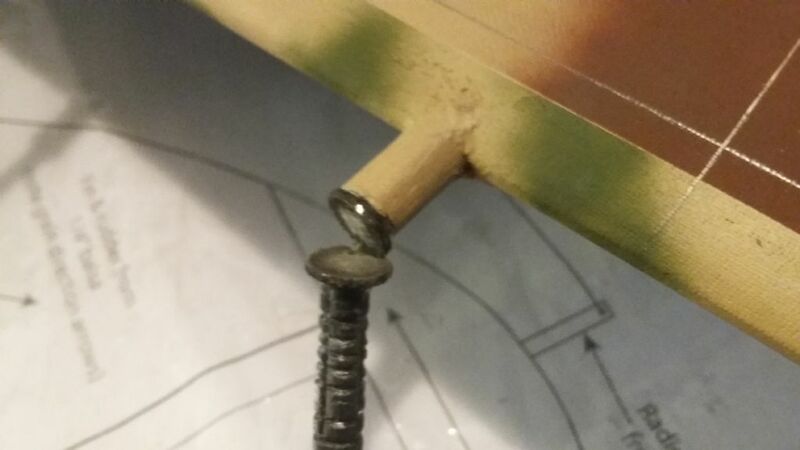 My wing dropped on the floor guns first and the elastic broke. Will try to shoe horn in thicker rubber in the repair and see how we go. Problem is there is not much width, and the magnets are very hard to cut even with a dremmel. I may just come up anyway and make the most of the fabulous beaches and scenery if flying isn't an option, but I will keep a beady eye on the forecast, it's just a case of which forecast do we believe? I built one and just used standard CA and it was fine. Hi Rob. Stan is talking about using the ailerons as spoilers or flaps (spoilerons or flapperons). In other words you program your tx so that on a landing approach the ailerons are reflexed for spoilerons, (go up) by about half of the amount of your full aileron travel. So if your ailerons go up by a max of 10mm, then use 5 - 6mm reflex, which will still afford you some roll ability. In this configuration the model may put its nose down too much so you may have to program in some up elevator compensation also, but each model is different and you will have to play this by ear. The effect of the spoilers is to kill the lift so that the model descends more quickly, but this can also increase the speed of the model, which in light wind situations can make landing more difficult than if you didn't use them, but at least you have the option. Your other option is to use the ailerons in the opposite way as flaps, in which case you would probably need to program in some down elevator compensation as when you deploy the flaps the model may balloon upwards with the possibility of the model stalling. The same rule regarding flap travel applies as per flapperons. You can program this onto a 2 position switch to give you on/off, or a 3 position switch gives you 2 levels of control travel, but better still is to program it onto your throttle stick, giving you proportional control, as you would with a mouldy glider. You won't be disappointed with the Carerra, it's a cracking model and I love flying mine. Hi Rob - I can vouch for the Stan Yeo designs at Phoenixmp as I have the Vagabond and Carerra. The Carerra has a semi symetrical section, will cruise around in fairly light conditions, but give it a 20 mph wind and she'll perform all the aeros you want. Heck mine will even do a knife edge. The kits are great quality and come complete with all the fittings. You only have to buy the usual sanding paper, glue, covering etc. The Carerra is great value at about £75. 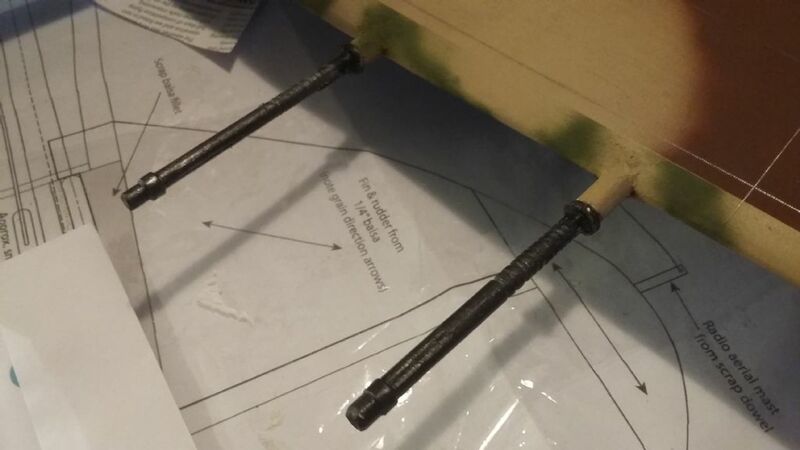 I do like flying mouldies, but I don't have a decent enough budget for them usually, but balsa and foam are pretty good, and balsa isn't as crunchie as some think, but they are easier to repair than glass if you have a bit of a bump. 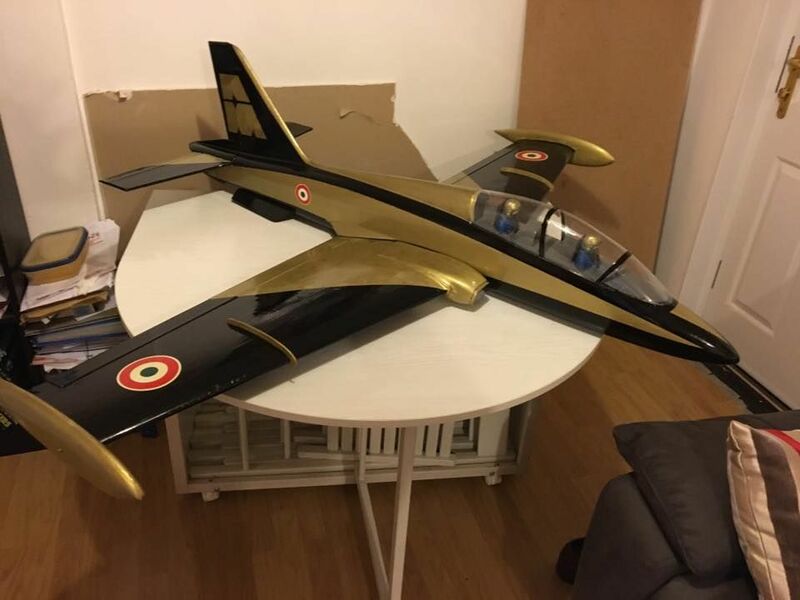 I have the Island Models Aermacchi MB339, which I bought 2nd hand. The RX battery pack had only been glued to the inside shell of the fuse using hot melt glue, and it came away at the weekend when it hit a tump of vegetation and came to a sudden stop. So, in order for the model to balance it will need to be fitted about half way between the fuse wing hatch and the nose tip. Any ideas how I could do this but allowing me access in case I need to replace the battery? Or am I better just slapping a bit of epoxy or more hot glue on it? So the weather people have changed their minds again about Saturday and they are showing a light breeze from a southerly direction, which will mean flying from Back of Wrecker. I'll be getting up there for about 9 AM to check that is correct and we can meet up at the Ice Cream slope lay-by at 10 as usual and drive up to the Wrecker lay-by if that is the case. Sunday is still looking westerly so it'll be a hike over to the far side of Mickeys, a 15 - 20 minute walk, depending on how fit you are or how heavy your models are. But you never know, the weather men may change their minds again. It looks like there are only 6 of us for dinner on Saturday night and I am about to drop the restaurant an email with our food choices. I agree with Phil Alan, you'd be better off driving and staying dry, as I will be.